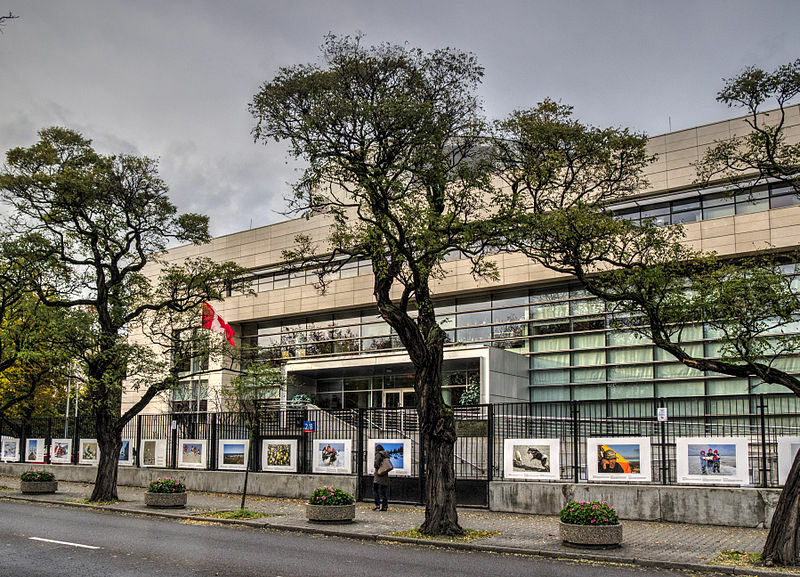 It’s a tradition that every time I visit Warsaw I interview Canada’s ambassador to Poland. My last interview with Ambassador Stephen de Boer. Now the embassy is waiting for its new ambassador to arrive so this time I had a great pleasure to meet and talk to Jeremy Wallace, charge d’affaires, who is now the acting chief diplomat there. His Polish is quite impressive and he is very passionate and enthusiastic about his mission. He presented me with three interesting books about Canada. 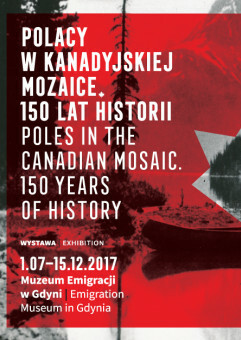 One of them, “Poles in the Canadian Mosaic – 150 Years of History”, is a beautiful book in three languages – English, French and Polish, which accompanied an exhibit under the same title organized by the Canadian Embassy and the Museum of Emigration (yes, the one I had just visited) to celebrate the 150th anniversary of the Canadian Confederation. 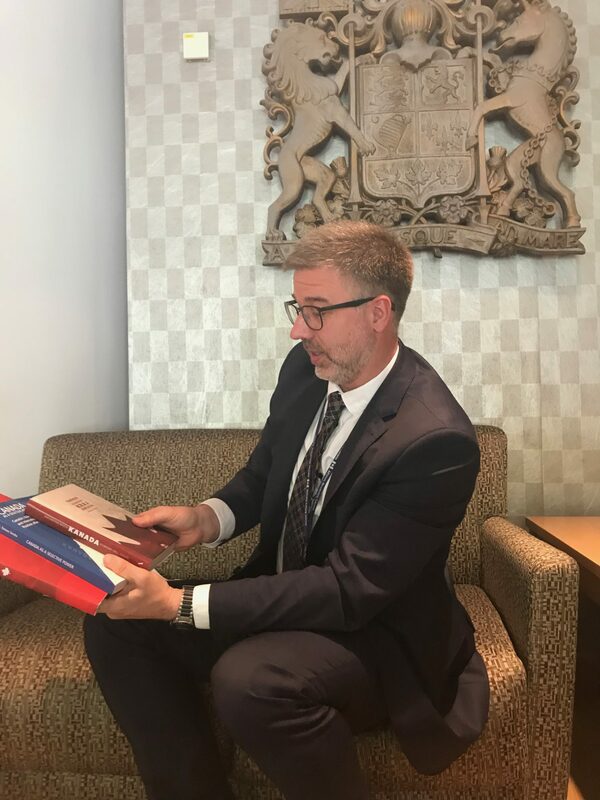 All the best to Jeremy Wallace (congrats on the preface to the book) and his great assistant Agnieszka Magiera, who has worked tirerelssly to promote Canada in Poland for many years and whom I met for the first time while in Poland with Prime Minister Stephen Harper’s delegation. 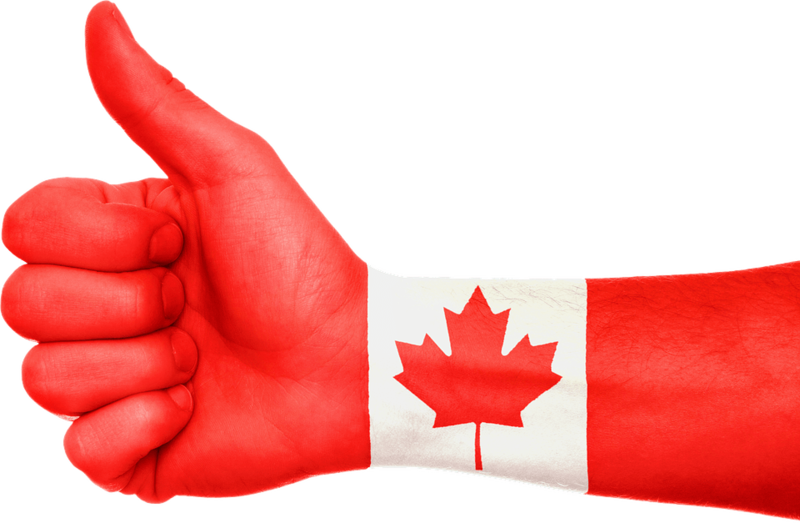 We at POLcast count on the fruitful collaboration with Canada’s Embassy in Warsaw as we have many common goals.